Just because Time was already broken doesn't mean you can break it more! I mean, as far as time travel goes it's a pretty good solution. 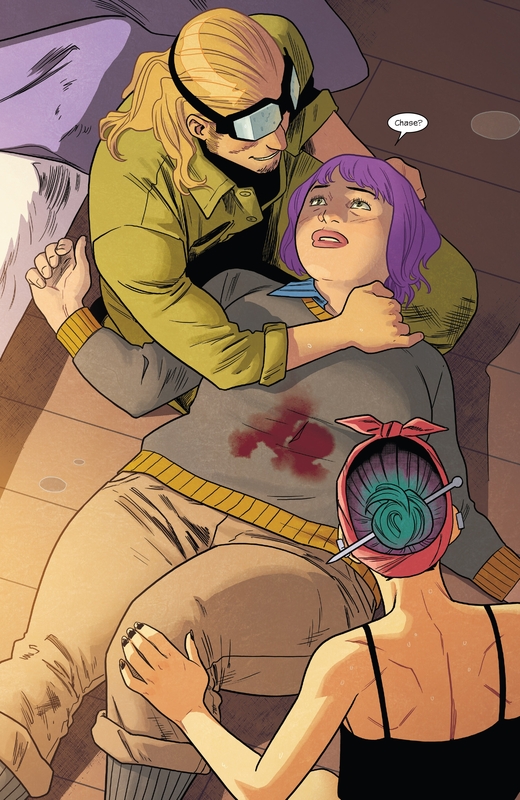 They never did recover Gert's body originally, so they still thought she was dead until now. And as long as they all thought she was dead all these years, the timeline won't change. 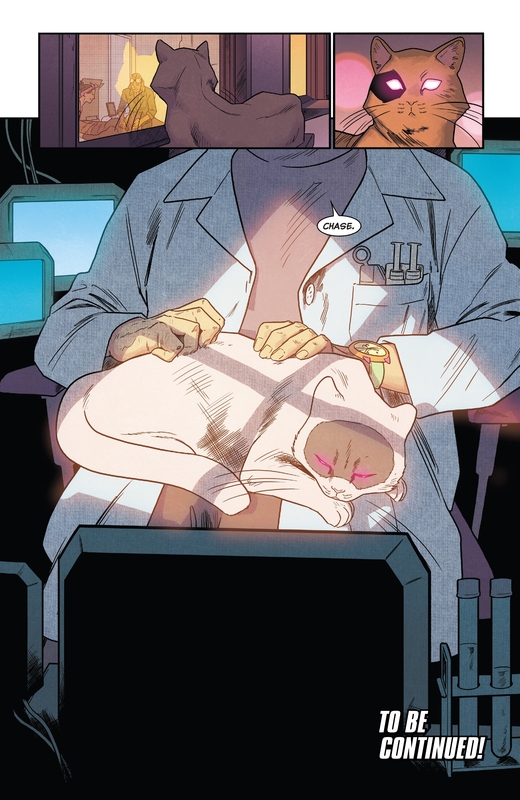 So Gert gets saved while the timeline remains intact. I meant in the new timeline. Now they presumably figured her body was buried in the wreck of the burnt building, and were unable to stick around to retrieve it without garnering too much attention from the authorities. As long as they still think Gert is dead, the timeline remains unchanged enough to prevent paradox. Seeing her body and burying it probably helped them accept that she was dead. Leaving her body in the wreckage of a building, to be eventually found and taken by the authorities would just lead to them infiltrating the morgue to retrieve it. If they never found her body that would just leave too many open ended questions. Plus how would they get Geoffrey Wilder out of that building alive if they couldn't get Gert's body out? Agreed. It's a pretty smooth solution. I'm pretty sure that is exactly what it means. The moment someone time travels I am allowed to do whatever I want to that timeline. Going back again and killing yourself before you do that whatever didn't seem to work that well for Wolverine, though. So I guess she's like... 3-4 years younger than all of them now? Granted, the way they're drawn here they could all very well be 25 nearing 30, but youth is flexible. I don't mind that she's back, wish they did it differently though. 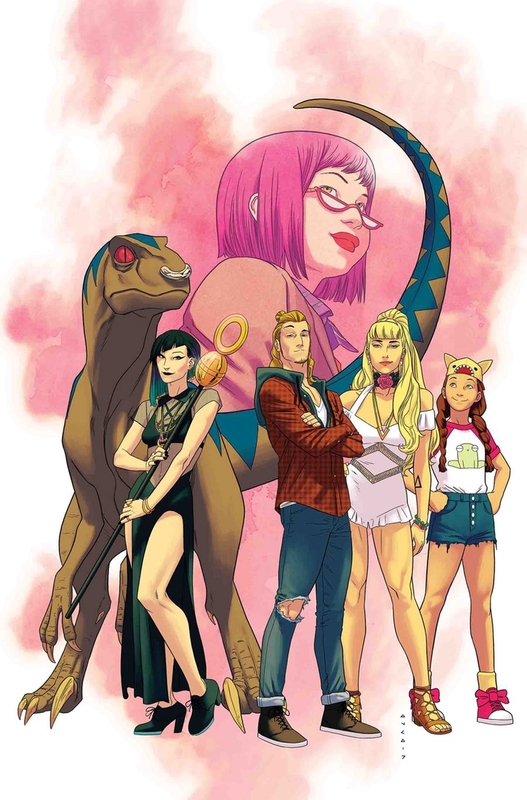 iirc their original ages correctly that would make Chase 20, Nico and Karolina 18-19, and Molly 14-15. I think Gert was about 16 when she died. Ah, a member of the "holding a white cat with my head hidden from view" school of villainy. Classic. Ah yes the good old typeface that Marvel briefly used in the early 00's for all of their comics. I wasn't terribly fond of it. Hard to take WOLVERINE seriously when he literally talks like this. And nowadays it's used to indicate that someone comes from the Ultimate universe! 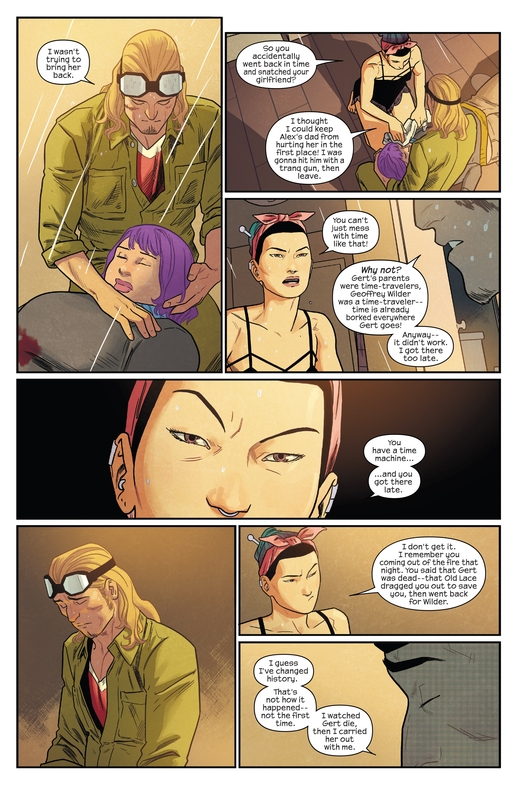 So the Runaways are all pals with the Maker and Ms. Marvel now? Let's be fair, it's not like the Marvel Universes timeline could be any more broken. Hank McCoy mad sure of that. 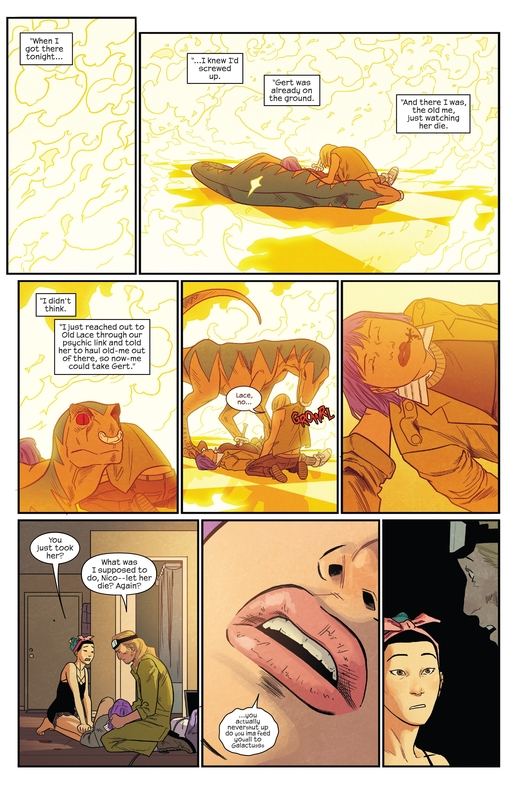 There is an event where literally all of reality was destroyed and remade in-between Gert's death and now. I'm not really sure what Chase could really do to time that doesn't get overruled by that.